Betting is 63% on Seattle with the line moving from -7+111 to -6-103. Models are split, Variables are neutral and public betting favors Buffalo. We have a reverse line move on Buffalo along with over 60% of the betting on Seattle. Other things I look at confirm the public is on Seattle tonight. So what is one to do without the models or variables? I pass. But if your considering going with the public tonight you might want to take a 2nd look at the game! Good luck Tonight which ever way you decide to wager. I will just be watching. We had another busy day Sunday with 5 one unit plays. Its always fun when the first two plays lose:) Unfortunately they were both in the NFL with Cleveland and San Fran both losing. But we made up ground and finished the day positive going 2-0 in the NBA with Denver +7 winning the game outright as did Sacramento +8.5. Than in the NHL we had New jersey +129 winning 4-1. Cleveland and San Fran really did not have very many opportunities to cover and we got a lucky cover on the rams with a 2pt conversion to get a win and avoid a 1-4 hilton day. Lets see if I can turn around the Hilton picks next week with a very strong 2nd half of the season. So far today there have been no plays sent out. I really enjoy the emails I have been getting lately. 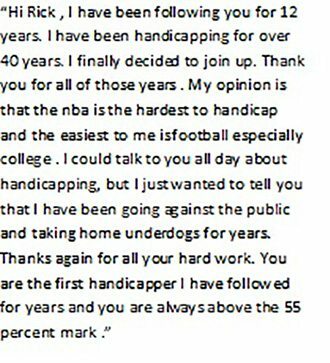 Please continue sending them as some are very informative that I can use to discuss various handicapping issues that come up. Draw-downs are part of the betting experience and they can come at any time. So a proper bet sizing technique is imperative not only to weather draw-downs but also to maximize you win rate year end. The idea of haphazardly sizing your bets can make you a winner is a real falsehood. 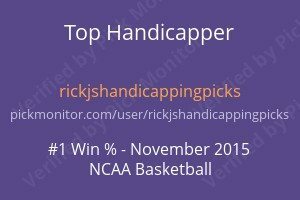 Unless you have a very defined bet sizing method you will find it hard to win in sports year after year. There are some things I bring up that are open to opinions on both sides. But this is not one of those. Its an absolute!! !